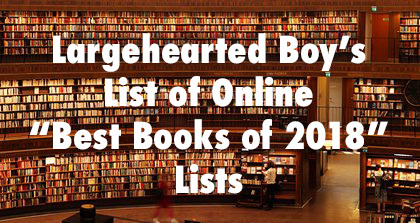 For the eleventh straight year, I am aggregating every online year-end book list I find in this post. As the lists appear online, I will add them to the master list, updating daily. Previous updates to the master list of online "best books of 2018" lists. Please consider making a donation or leaving a tip to Largehearted Boy to support posts like these.